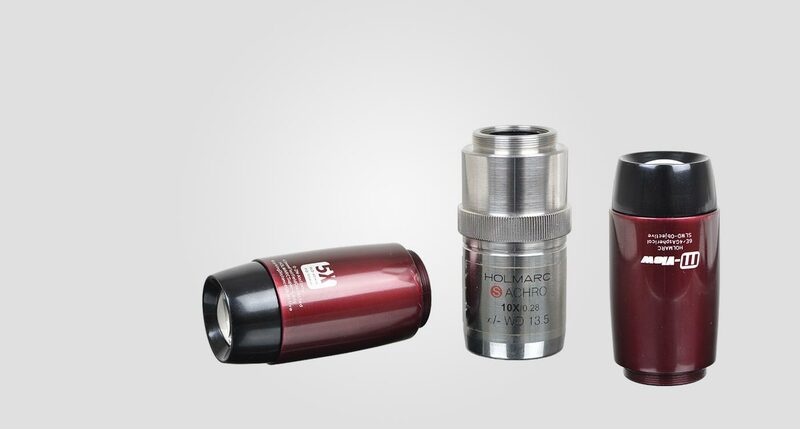 HOLMARC developed super long working distance microscope objective for high image quality inspection and analysis application. All objectives have flat image surface over 42mm field of view, highest standard in the objective design. Thanks to its advanced optical design including an aspherical element and optimized coatings that minimize ghosting and flare while providing exceptional color balance than conventional objectives. All lenses are Plano Apochromats. These objective lens is chromatic aberration corrected for red, blue, and yellow. M-View SLWD series objectives are optimized for bright field illumination. Ideal for in-line (co-axial) illumination applications. All stated magnifications are based on a tube lens focal length of 200 mm. 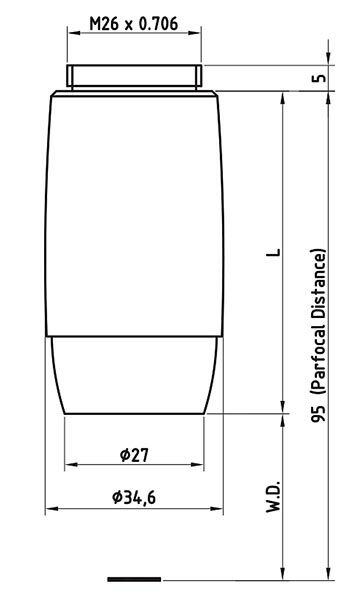 Mounting thread: M26 x 0.706 pitch (36 TPI). These objectives can be used in finite and infinite configuration. For an infinity correction system, a 200 mm focal length tube lens is required. SLWD-VA Series objectives design are continuation of M-View SLWD series objectives. SLWD-VA Series integrated a circular 7 blades aperture is used between the optical system. It allows user to control the depth of focus and illumination in controlled manner.